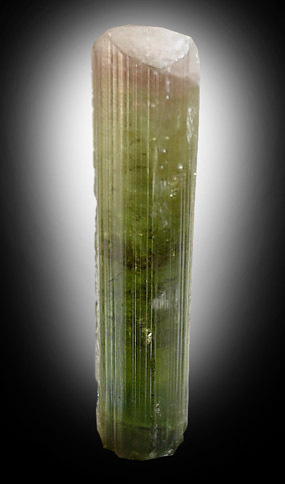 Description: Single green elbaite tourmaline crystal with pink termination. Back side has white albite micro crystals in some areas. 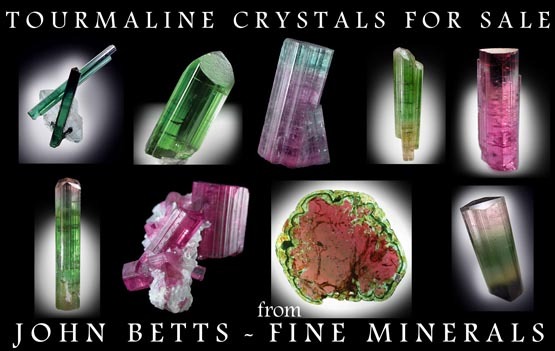 Very nice specimen for the price.